One of the world's fastest-growing health problems is diseases caused by bacteria resistant to antibiotics. A recent US government report estimates that globally such diseases cause approximately 700,000 deaths annually or one per 10,000 inhabitants. Recent estimates from the European Union put the number at 25,000 deaths among 500 million EU-Europeans. These estimates are uncertain, but if we extrapolate to Singapore, it would mean between 300 and 600 deaths annually, or two to four times the number of traffic fatalities in 2016. Several international assessments estimate that this death count will grow dramatically to approximately 10 million by 2050, dwarfing global deaths from cancer which number seven million. Unfortunately most countries, including those in Asean, and indeed Singapore, still do very little to deal with the problem. The use of antibiotics was once a blessing. Vaccines and antibiotics are the two major health-related inventions that have driven the dramatic increase in life expectancy over the last 100 years. The World Health Organisation (WHO) estimates life expectancy for a global citizen born in 2015 to be 71 years; in 1917 the corresponding figure was 34 years. However, problems arise because every time antibiotics are used, there is a chance bacteria resistant to the antibiotic are created. The antibiotic will kill most of the bacteria but a few might have a genetic make-up that enables them to survive: these bacteria are now resistant to that antibiotic. Unfortunately, bacteria can share the genetic information that codes for resistance, thereby spreading resistance to other bacterial populations. In addition, bacterial populations can become resistant to many - or even all - antibiotics: they become multi-resistant and therefore untreatable. While the treatment of sick humans and animals accounts for approximately 30 per cent of the total use of antibiotics worldwide, 70 per cent of all antibiotics are used to make food animals grow faster. Thus, up to 85 per cent of the global use of antibiotics takes place in agriculture and aquaculture. Since more than 90 per cent of Singapore's food is imported, the relative use in agriculture here is likely lower, whereas antibiotic use in countries in the region - and the world - becomes even more important for the city-state. It should be noted that since 2006, the use of antibiotic growth promoters has been banned in the 28 EU countries. Although antibiotics are not used - according to the Agri-Food and Veterinary Authority (AVA) - for growth promotion in Singapore, there are plans to institute similar regulatory controls. Singapore is also taking regional action: AVA is taking the lead in coordinating Asean's efforts to combat antibiotic resistance in the livestock and aquaculture sectors. To deal with this problem, there is a need to document the use of antibiotics and occurrence of resistance, regulate all use of antibiotics (patients or farmers can get antibiotics only through prescription), significantly reduce unnecessary use of antibiotics, and significantly reduce the use for animals of critically important antibiotics for humans. WHO has drawn up a list of such antibiotics which should be reserved for human use only. Some countries, notably in northern Europe, have had significant success in banning veterinarians (and medical doctors) from making profits from the sale of antibiotics - unfortunately in most countries, veterinarians make a significant part of their revenue from such sales. To design solutions, there is first a need to know the size and nature of the problem. That is why a surveillance system needs to be set up to track how much antibiotics are used and where, as well as the types of resistant bacteria and where they occur. That helps guide policy actions, and measure the success or failure of policies in place. A number of countries have already set up such surveillance systems, and notably in northern Europe the systems are both integrated (meaning that they cover animal, food and human use of antibiotics), and complete, in that they cover both antibiotic use and occurrence of resistance. Singapore will thus not be the first country to introduce surveillance of antibiotic resistance, but it might be the first to do it in a smart way, using DNA sequencing. Novel, revolutionising DNA-sequencing technology can now tell us the genetic make-up of a bacterium by producing the string of letters that constitutes its DNA and thereby its genes. The letters defining all genes of a bacterium amount to one to 10 million, corresponding to a book of 1,000 pages. Within these pages are the genes that convey antibiotic resistance to bacteria, so if we scan the pages we can detect resistance - in a much faster and more efficient way than traditional techniques. Singapore is at present the country in the region with - by far - the largest capacity to do DNA sequencing, and microbiological testing through DNA sequencing is already making its way into clinical, food, animal and environmental testing. 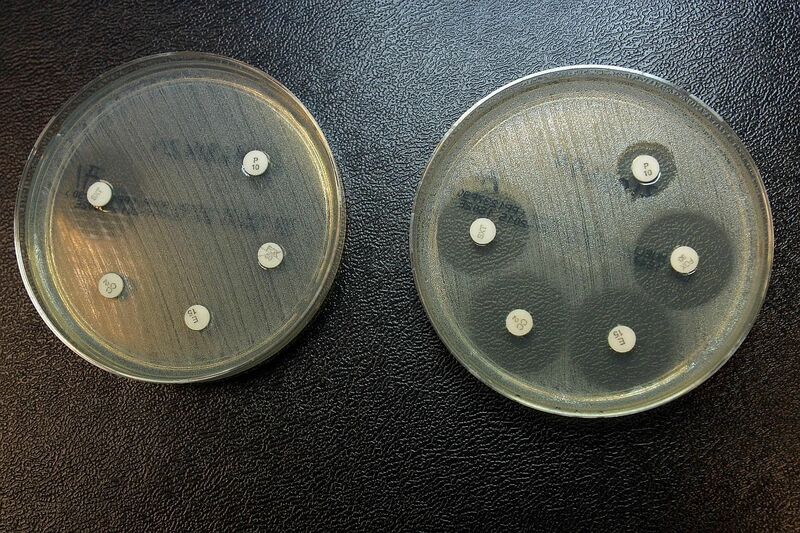 Nanyang Technological University is at present, on a research basis, receiving bacterial isolates from countries in the region aimed at typing and antibiotic resistance testing through DNA sequencing. Going forward, there is a need to initiate integrated surveillance of antibiotic resistance and use covering animals, food and humans. Without integration across sectors, it is almost impossible to assess the relative importance of animal and human use for the different antibiotics. There is also a need for coordinated action across sectors - animals, food and humans - to reduce antibiotic use. Singapore is in the process of developing a national action plan against antimicrobial resistance. There is a need for urgent action so as to retain the capacity to treat infectious diseases and to avoid a rise in the number of deaths due to antibiotic resistant bacteria. • The writer is director, Nanyang Technological University Food Centre.